First, we’ll add the item that will be havested – in our case that’ll be Wood. Open the ORK Framework editor, navigate to Inventory > Items, add a new item and change the following settings. Select Item Prefab (can be found in Assets/Tutorial Resources/Prefabs/Items/). And that’s it for the new item – click on Save Settings to save the changes. Navigate to Events and click on New Game Event to create a new event. We’ll handle everything in this event, but you can optionally also use the Event Interaction to check for the game variable conditions that need to be valid to harvest wood. 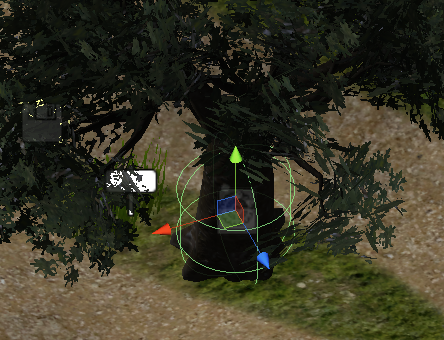 We’ll use Object game variables in order to allow using the same event on different trees (game objects), otherwise all trees would have the same timeout to prevent harvesting. First, we’ll check if the player can harvest wood here. We’re using Object game variables (i.e. the variable will be bound to one object) to check a timeout – if enough time passed since the last harvest, the object can be harvested again. This step is connected to the Check Game Variable step’s Failed slot. Set to You’ve already harvested here.. This step is connected to the Check Game Variable step’s Success slot. Click on Add Choice again to add the 2nd choice. This step is connected to the Yes slot of the choice dialogue. Finally, we’ll set the object game variable on the event object. We’ll set the variable we used in the initial check to the current game time plus a minute as an offset. Click on Add Game Variable to add a variable change. And that’s it for the event – click on Save Event and save it as harvestWood in Assets/Events/. We’ll add several components to the new game object – change the following settings. Set to X=26, Y=4.5, Z=24. You can either use the usual component menu to add it or use the ORK Scene Wizard. This component is required to use object game variables. It will automatically create a unique Object ID to identify the object’s variables. All objects that share the same ID will also share the same variables. There are no further settings needed here. Now you’ll be able to harvest wood in the town’s center tree – and it regrows a minute after harvesting it. Since we’re using the event system for the harvest, you can just add new steps to animate harvesting, e.g. 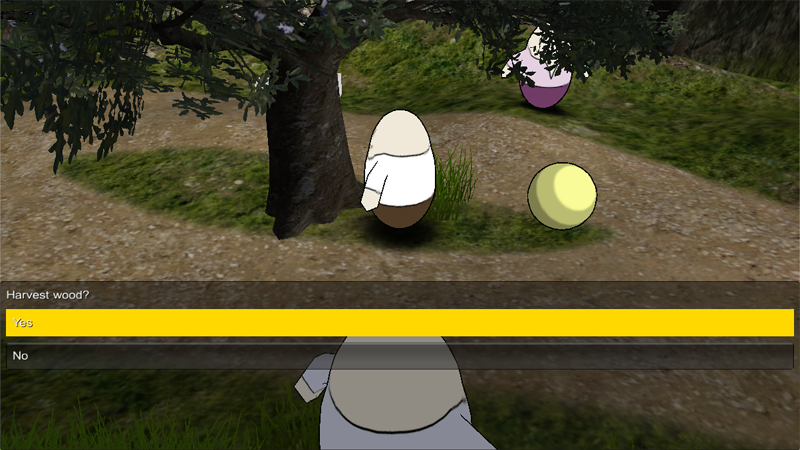 playing a wood chopping animation and a sound effect using the appropriate event steps. Also, you can use a Formula to calculate the amount of wood the player gets, e.g. basing it on a gathering status value.